The Vandy Vape Pulse BF 80W Box Mod was designed by Youtube Reviewer Tony B. and is one of the most highly sought after vaping devices of 2018. The Pulse BF 80W Box Mod is constructed of lightweight Nylon and ABS and features a compact and ergonomic design. The Pulse BF 80W Box Mod features full temperature control functionality with multiple onboard safety protections. The 8ml food grade silicone squonk bottle and battery are encased behind two magnetic battery panels for accessibility and can be interchanged with different coloured battery panels to personalize your device. By utilizing the included 18650 battery adaptor, users can choose to use either a single 18650 or 20700 battery to power the device. 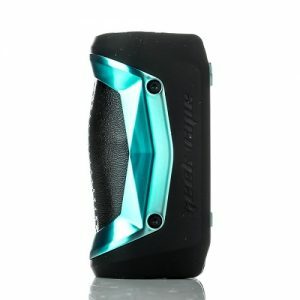 Please Note: The Resin coloured Vandy Vape Pulse BF 80W Box Mods have a unique pattern and may contain slightly different colours due to the manufacturing process.